Pestbusters have been serving the home owners and business owners of Stratford upon Avon for many years with pest control services. 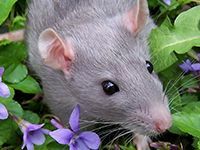 We are experts in all aspects of mice control, rat control, cockroaches, ants, flies, bird control and bird proofing across Stratford upon Avon, Warwickshire and the Cotswolds. We offer a 24 hours a day, 7 days a week professional pest control service for the domestic and commercial market in Stratford upon Avon. We provide a cost effective service for pest control and we have worked on a wide range of problems both large and small. Over the years we have provided pest control solutions to private homes, offices, factories, retail operations and industrial businesses across Stratford upon Avon and the surrounding area and we have many satisfied clients who have benefited from our services. Whether it is a rat infestation in your home, an ant’s nest in your garden or a bird control problem at your commercial premises, we have worked on a variety of pest problems where there has been limited accessibility and difficulties in sourcing the root of the problem. 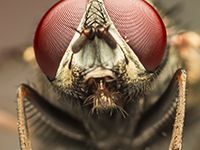 Our extensive experience in the industry and access to the very latest in pest control equipment and products means that we can deal with the most complex of pest control problems. If you are experiencing issues with a pest infestation and need some professional advice then please get in touch. We will inspect your home or business location, identify the root cause of the problem and tailor a solution to remove the problem as swiftly as possible. We will also advise you on how best to avoid the same problem in the future. 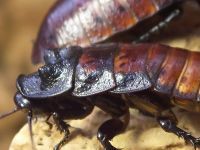 Pest infestations can cause disruption to your business, create a bad image and cause health problems so the sooner you deal with the problem the better it will be. We act swiftly and discreetly to deal with your pest problem so that you can return to business as usual as soon as possible. Stratford upon Avon is a popular market town and tourist destination in Warwickshire. Famous for being the birthplace of William Shakespeare, Stratford attracts millions of visitors ever year. 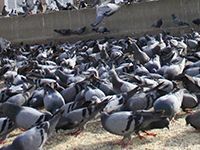 Like many historical towns with old buildings, Stratford upon Avon suffers from its fair share of pest problems and over the years we dealt with many pest infestations in the town and surrounding areas including Warwick, Leamington Spa, Kenilworth, Cheltenham and Coventry. If you are based in or near these areas and are experiencing a pest infestation problem then please get in touch. We can provide you with an affordable, highly effective pest control service solution so contact us now and speak to one of our specialist team.